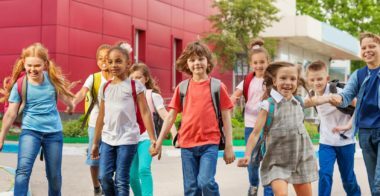 Discovery Schoolhouse | Preschool Excellence | Katy, TX. and after school care for children 5 to 12 years old. 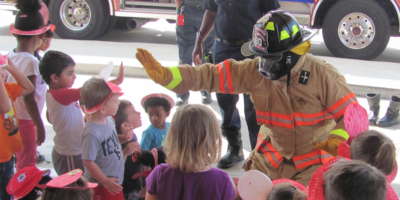 Contact us in Katy, Texas for more information or to enroll your child. 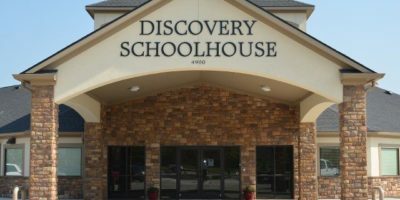 Discovery Schoolhouse provides educational preschool child care. Our school offers a range of educational programs for children from the age of 6 weeks to 5 years old and before and after school care for children 5 – 12 years old. Education is based on the nationally recognized A BEKA curriculum used throughout the United States by thousands of students. In addition, Mandarin, Spanish, Sign Language, tumbling, sports, dance, martial arts, and music lessons are offered. Our older children (5,6,8,12) attended DSH as needed but our baby girl attended at the age of three months, on a full time basis. I was originally a nervous wreck putting her into daycare but she did awesome and THEY did awesome with her. The teachers, Director, owner, admins couldn’t be better and more professional, loving and nurturing. We are moving out of town, otherwise we would stay. We have two children at Discover Schoolhouse including a baby. I cannot recommend them higher. The teachers truly love those babies and are constantly in communication with me about the baby, her day, and her needs. Our 4.5 year old will be more than prepared for kinder when she starts. She also gets Spanish and Mandarin language instruction. They have a good balance of play and academics and the management is very attentive and responsive. I love this school! So glad I found this school! My kids have learned so much! I love how organized everyone is! Fully recommend Discovery Schoolhouse. I chose this school for my daughter about 3 years ago. What I liked about the school was the fact that it felt like a close-knit environment where she could get the care, attention and skills she needed. Im glad to say today that I was right! My daughter is in Pre-K ready for K, she is happy to see her teachers and friends everyday and now Baby brother also attends DS ! Couldn’t be happier! Thank you Discovery School teachers and staff for all you do!! 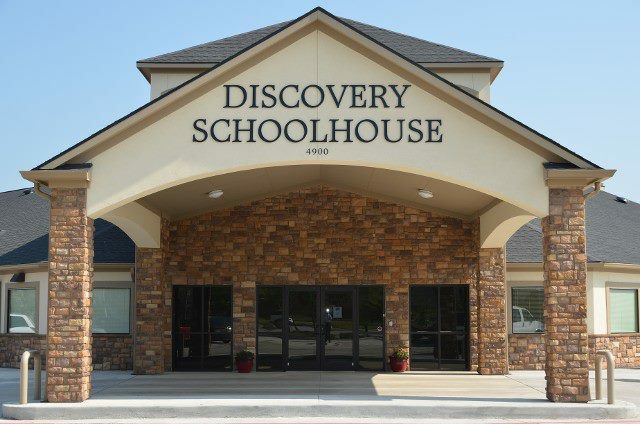 All three of my kids had the pleasure of attending Discovery Schoolhouse! My daughter is now in Kindergarten and was over prepared for her current grade level. She was reading before she graduated from the Pre-K program. Thus, we decided to apply for the Two-Immersion Bilingual program through Katy ISD. Due to Discovery’s Spanish bi-weekly lessons, my daughter excelled in English and learned to adore Spanish. I’m pleased with the love, concern for excellence, and overall attention the staff demonstrated toward my entire family! I would recommend with school to everyone! Thank you Discovery Schoolhouse staff for all you do for your students! Our gallery contains photos of our school events, field trips, and much more. Take a look! 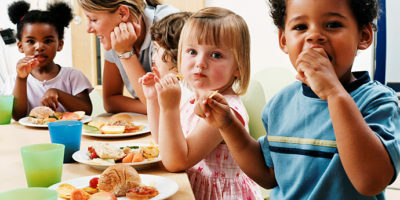 We provide healthy and nutritious AM Snacks, Lunch & PM Snacks for all of our Students. Contact our front desk or administrative staff to schedule your next tour.